14 September 2016 11am – 2pm in Rouken Glen Park, Giffnock. Locals are being encouraged to saddle up and join an afternoon of activities and learn new tips on cycling! This is a free event. To celebrate Cycle to Work Day 2016, East Renfrewshire locals and staff are being encouraged to saddle up and join an afternoon of activities and learn new tips on cycling. On Wednesday 14 September, Rouken Glen Park Pavilion will host three hours of complete cycle anarchy. There will be various activities to participate in including Dr bike sessions by the Neilston Development Trust; Electric bike demonstrations by Bike Chain; Skills for lapsed and new cyclists by the Neilston Development Trust. 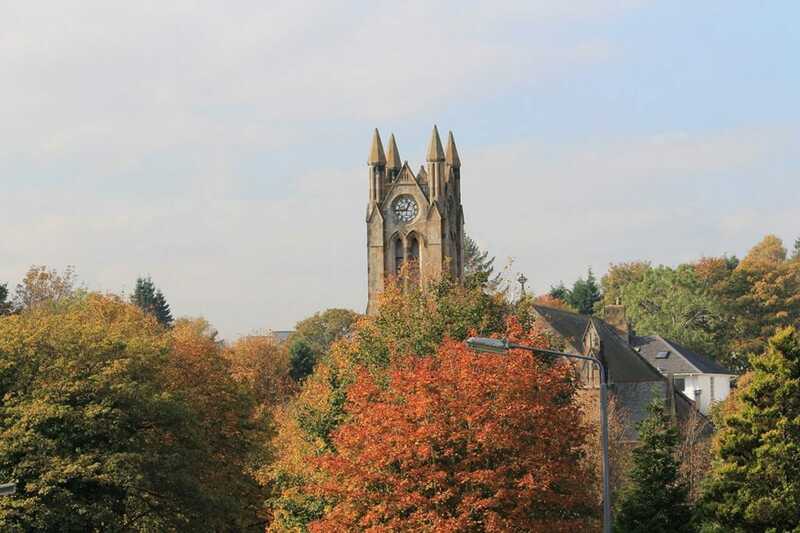 On 10 and 11 September 2016, at various locations across East Renfrewshire, Doors Open Days give you free access to lots of fascinating buildings across East Renfrewshire! The event offers the people an opportunity to visit buildings and sites in both public and private ownership that would not normally be open to the public. Entry to all buildings is free and within certain buildings, refreshments, guided tours and exhibitions will be available. Opening their doors to the public on the two days will be various buildings – churches, a synagogue, a fire station, theatres – please click here for full list of buildings. Environment convener Councillor Vincent Waters said: “The ever popular Doors Open Days gives people a rare opportunity to look around some buildings otherwise not open to the public. For example we have some splendid old churches in East Renfrewshire that are well worth a visit. On 18 September 2016 between 11 am and 3 pm at Greenbank House and Garden, Clarkston. See some of the wonderful opportunities there are to get out and experience to Great Outdoors in and around Glasgow! An exciting chance to come and see some of the wonderful opportunities there are to get out and experience to Great Outdoors in and around Glasgow. Lots of fun activities for adults and kids alike. Bug hunts, pond dipping, arts and crafts, sand, mud kitchen, plus muddy fun! And if you run a business that is in or to do with the outdoors, and would like to let people know about it then let us know soon before spaces are all taken! Saturdays, Sundays between 16 April 2016 and 30 October 2016 Whitelee Windfarm hold a great range of free family activities every weekend during the season… Free events at the weekend will include a wide range of activities, visit the Whitelee Windfarm website for full details, times and age suitability. On 1 October 2016 between 12pm and 8pm, in Braidholm, Giffnock, BIG FAT Events are pumped to be bringing the unholy trinity of pizza, beer & beats to the awesome people of Glasgow! So get ready to join Scotland’s 1st ever pizza festival! There will be – besides of pizza and other street food vendors – over 40 craft beers, gin & cocktail bar, live music and kids’ activities. Where will you be, what will you do this autumn?! Share your stories with us on Facebook!